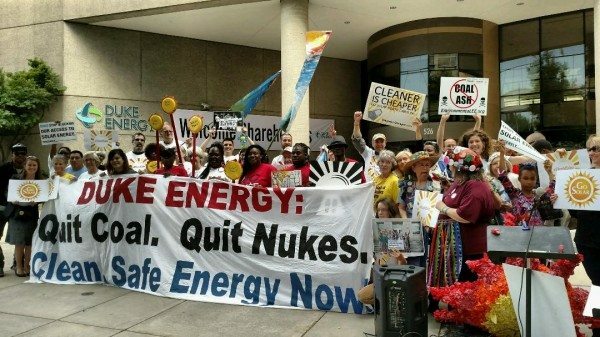 Today, outside of Duke Energy's shareholder meeting, community members from across the state came together to demand that the company stop blocking access to solar energy. 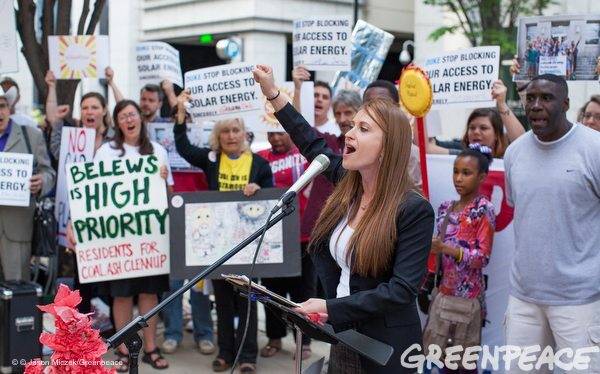 Today, outside of Duke Energys shareholder meeting, community members from across the state came together to demand that the company stop blocking access to solar energy. The message we sent was clear: the monopoly utility company that is responsible for dumping toxic coal ash, poisoning drinking water, and polluting our states air should not be working to prevent the clean energy solutions that people want and need. Duke Energys PR machine has been working hard to convince North Carolina residents that the company has embraced solar energy. Unfortunately, its attention grabbing headlines are mostly smoke and mirrors to distract from an ongoing lobbying effort to block true solar choice. Tea Party supporters, environmentalists, members of the faith community and big businesses like Wal-mart have lined up in support of HB 245, the Energy Freedom Act, which would open up the state to third party energy sales to provide solar access and options for no money down solar. North Carolina is one of only four states that doesnt allow third party energy sales and instead has monopoly utilities. Behind the scenes, Duke is calling upon its utility-funded state legislators to weaken or kill the bill. Duke is opposed to distributed rooftop solar because it threatens its energy monopoly in the state. 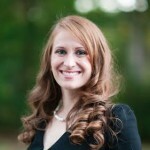 It is no secret that whats good for North Carolina residents allowing more solar choice, providing better financing options, and ensuring full compensation for electricity sent back to the grid, a process known as net metering is not good for Dukes stranglehold on the energy market here. Duke wins when its customers pay more to prop up coal, gas, and nuclear plants. 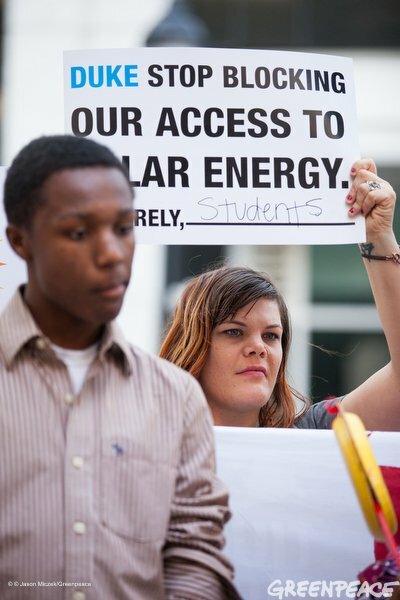 They lose when customers gain access to solar from a renewable energy company that isnt Duke. Not only is Duke trying to keep its customers from accessing solar from other companies, the utility has virtually no plan to offer it either. Over the next 15 years, Dukes plan for renewable energy capacity is a measly 4% of its energy mix. It is currently less than 1%. The investments they have made in solar cant even be called baby steps and are certainly not the widespread changes people are calling for to combat air and water pollution and climate change. As the largest utility in the country, Duke has a responsibility to lead the way toward a cleaner future not delay progress at all cost. And by delay progress at all cost, I mean at all cost. 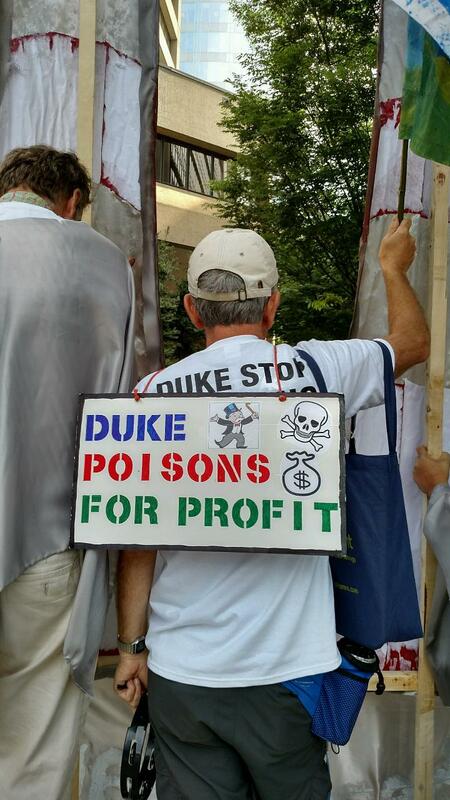 Duke has a clear plan for maintaining dependence on fossil fuels, risky nuclear power, and endless electricity price hikes, as well as protect its monopoly: make lots and lots of donations to the lawmakers that regulate our utilities, and then lobby them for favors. This is an inappropriate and unacceptable use of ratepayer dollars — essentially paying the regulators to write the rules in their favor while blocking access to solar. A 2015 Facing South/Institute for Southern Studies report found that based on lobbying clout and election spending, Duke tops the list for special interest influence in North Carolina. Duke was in the top 5 in election spending on campaigns and committees in 2012 and 2014. Duke recently sent a letter to North Carolina state legislators asking them to oppose the Energy Freedom Act. In the letter and throughout media coverage of the bill, Duke reiterates a tired line about wanting to address solar comprehensively. What Duke means is that theyd like an opportunity to water down any solar policy that helps break its monopoly, or perhaps look to gut solar incentives elsewhere, for example by destroying net metering. Last year, Duke Energy CEO Lynn Good announced plans to attack North Carolinas net metering program that pays solar customers for the energy they send back to the grid. The company that is supposed to be regulated for the good of the people is working to pull the strings. Duke is working to limit solar choice in other states as well. In Florida, a grassroots coalition uniting the right and left is securing signatures for a ballot initiative to allow third party sales. A recent Florida Center for Investigative Reporting story found that significant utility campaign contributions, including from Duke Energy, have held the Sunshine State back from solar choice. Since 2010, state lawmakers have received a whopping $12 million from Floridas big utility companies. That utility money has convinced some lawmakers that the Sunshine State is too cloudy for solar, despite the Department of Energy identifying only two states with more rooftop solar potential. In Indiana, Duke has used its cozy relationship with regulators and representatives to try to push anti-solar policies, including adding a fee for net metering customers in an effort to maintain monopoly control there. Emails between an executive at Duke Energy and the chairman of the Indiana Utility Regulatory Commission showed the extent of the relationship, as the chairman casually advised hiring his personal choice to lead the utility’s Indiana operations. Its clear that Duke Energy is grasping at straws to maintain its relevance in an era that is increasingly demanding solar choice and energy democracy. 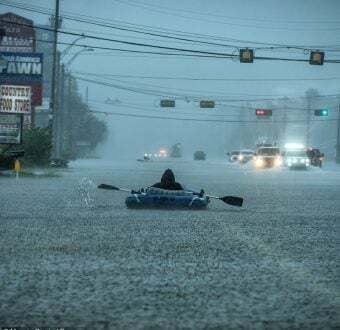 When youre a giant monopoly powered by mostly fossil fuels, youre bound to go extinct if you dont learn to adapt. At this weeks shareholder meeting, Dukes customers will remind the company that blocking solar is no longer an option. Were no longer asking, were demanding that they get out of the way for energy freedom. 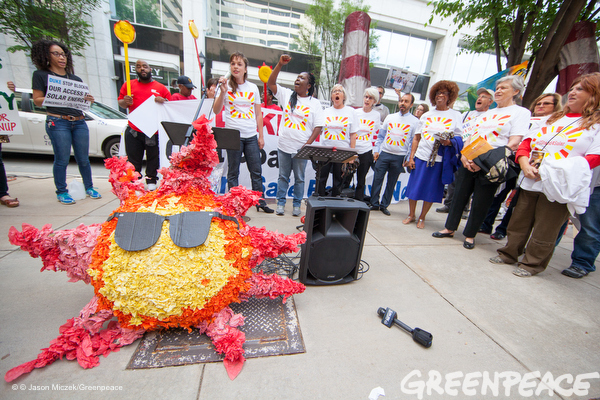 Check out more photos from the day here or on social media #Istand4solar. 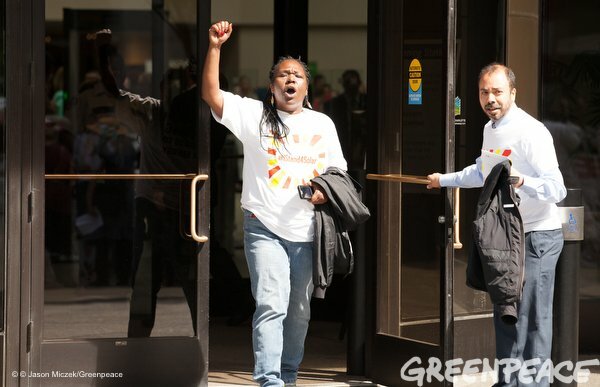 A video of advocates interrupting CEO Lynn Good during the Shareholder Meeting can be found here.